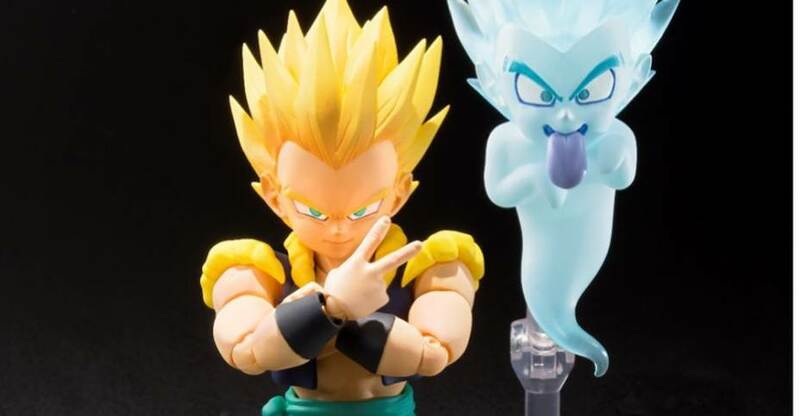 Tamashii Nations have dropped details for S.H. 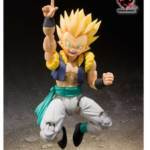 Figuarts Dragonball Z Gotenks! The little guy will finally be released in October 2018 in Japan. U.S. dates are usually 2 months after that, so expect December-ish over here. He will retail for 5,616 yen (about 51 dollars). October in Japan, 5616 yen (51 bucks-ish). They really should include a regular head as well as a SSJ3 one. I don�t get why they are so stingy with this kinda stuff, do they really plan to sell more versions of this guy? Somehow I don�t see it happening. The ghost is super cool but they will probably only include one, and a stand if we're lucky. 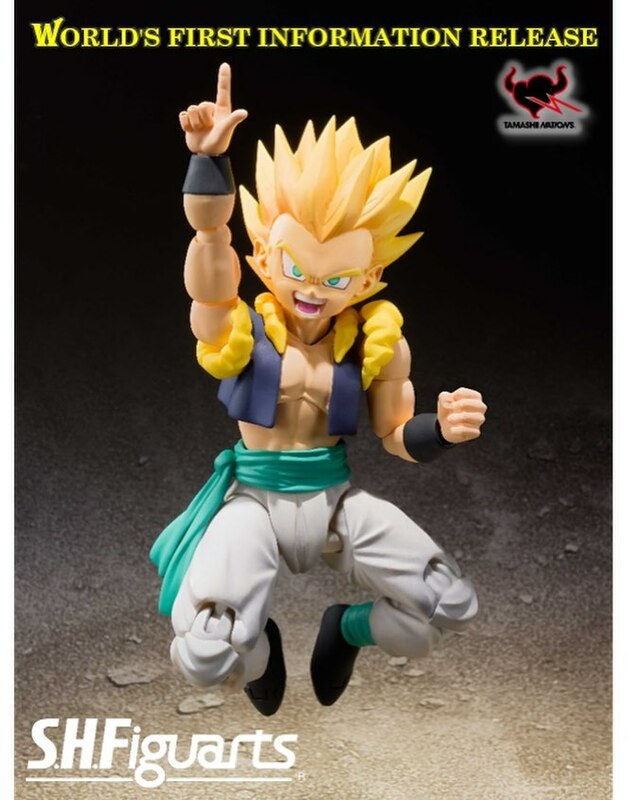 Worst part is I probably still end up buying one because I rather liked Super Gotenks' fight with Super Buu. It was really fun and such a nice change of pace from the typical Dragonball Z fights. While we�re at it, Super Buu please Bandai. Good Buu was a step in the right direction but I prefer the evil Buu that isn't tiny. Or gray. 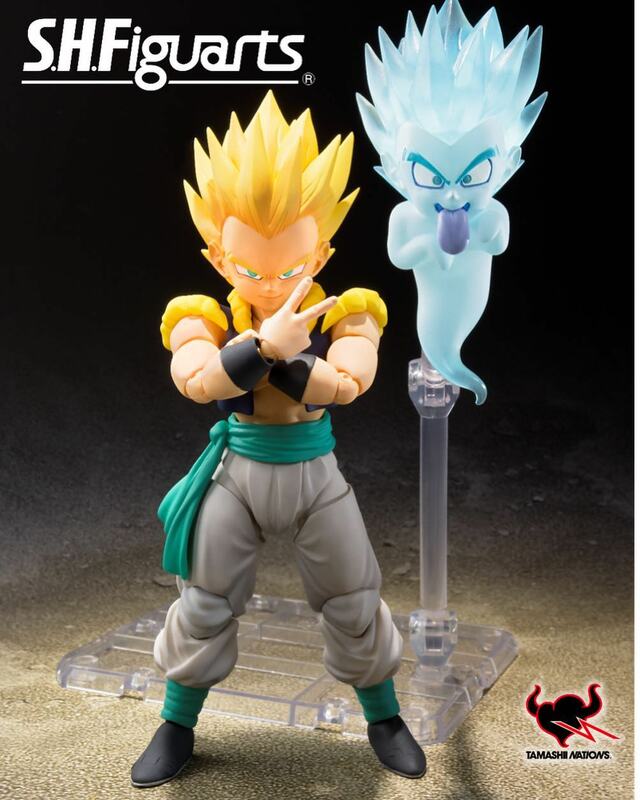 We also need Tamashii to make Kid Trunks and Gotenks now. The Buu's will be good as well, and at least we get Fat But here soon to start us off with those. I need my Gotenks tho... Am I the only person that likes his character lol? I want the kids, and little kid Gohan. I want Bulma and Chi Chi. I want Super dorky or new Movies Gohan. Kid Buu, and Super Buu in "Final" form before the downgrades. And since we are going deep roster, might as well toss a Mr. Satan in there. I'll wait for SS3 Gotenks. Most iconic look for the charatcer. The ghost is super cool, but I think I'll pass on this one for now. 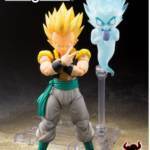 Unless we could have regular head qand SSJ3 head. But That won't happen. Is there a reason people are assuming this wont come with a normal or ss3 head?